Marrow Grills was established in 1984 by Ed Marrow. These are the original rotisserie barbeque grills . 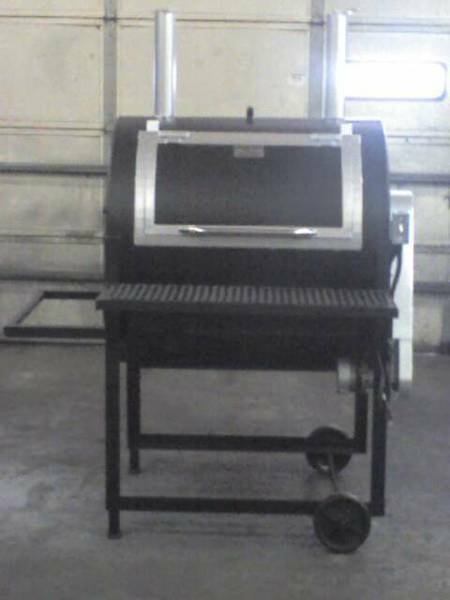 There are mainly 4 different sizes to choose from , There is a 3 ft grill on legs as seen in the picture , the 4 ft grill on legs or wheels ,the 6 ft grill on wheels , and the 8 ft grill on wheels. each grill on wheels has it's own chassis . There are a few options you can get with each grill .